I know you know me. I’m well aware of your presence. While we’ve been sparring for a while now, I realized we’ve never really communicated. I wanted to write to inform you the streets of Chicago has claimed the life of another African American man this week. Seeing how violence has claimed well over 300 in the last seven months which equates to about a 50% rise of murders in the city, I’d imagine you are wondering why this particular murder has occasioned this letter. Well you see this wasn’t just any violent death. This was the death of my cousin. A cousin who grew up in my house as a brother. A cousin who slept in my room and often my bed. Although time, circumstance, and a move to Chicago stole our ability to maintain a sense of great intimacy, he was still someone I loved. His loss has thrust me into a the kind of nostalgia I typically resent. But it is providing a sense of comfort you’d never understand but I sometimes need. I remember climbing the apple tree in our backyard with him. While fear and a burgeoning common sense always told me to stop climbing when I ran out of thick branches on which to cling, this was not for my cousin/brother. He reached for thin branches. The heights were too seductive. The air far too rich to avoid. He reached for thin branches. He’d leap across the wide part of the creek bed behind the neighborhood park. I’d always step across on a path of generous stones. But my cousin/brother flung his black boy body, eviscerating space and sky. Only sometimes did he make it home dry. Do I dare step onto the deck so uncertain. My brown boy mind thought as one foot floated in mid-step as the other foot rested fear filled on Tom Sawyer’s Island. See, there was a time when you had to have a book of tickets to get on rides at Disneyland. The E Ticket rides were the best. You needed an E ticket to get on Space Mountain. That’s all that were left in my book of tickets on the way to Tom Sawyer’s Island. As a child I ventured from the group and hopped onto the Paddle Boat. As the whipping wind produced tears in my eyes, I traversed this man made microcosm of the Mississippi River just to get to this island I had to see. My childhood heart beat so hard it felt like I was bruising the inside of my rib cage. It was Tom Sawyer’s island!!! That’s when it had to have happened. That had to be when I dropped that book of tickets. That moment of manufactured euphoria had to be when those remaining E Tickets slipped through clutched fingers or fell out of some puckered pocket. I must have stood on the banks of that fabricated island near Injun Joe’s Cave for 20 minutes before I decided to step foot on that boat without a ticket. Would they let me on? Does Disneyland have a jail for stowaways? Should I plan to live on this island till they find me? Where could I hide on the boat if I made it on? Every one of these questions came to mind as I decided to step onto and into the uncertainty of that deck. Eric Wilson is a certified Spiritual Director, Executive Coach and is a religion blogger. He is an award-winning playwright and theatrical director. 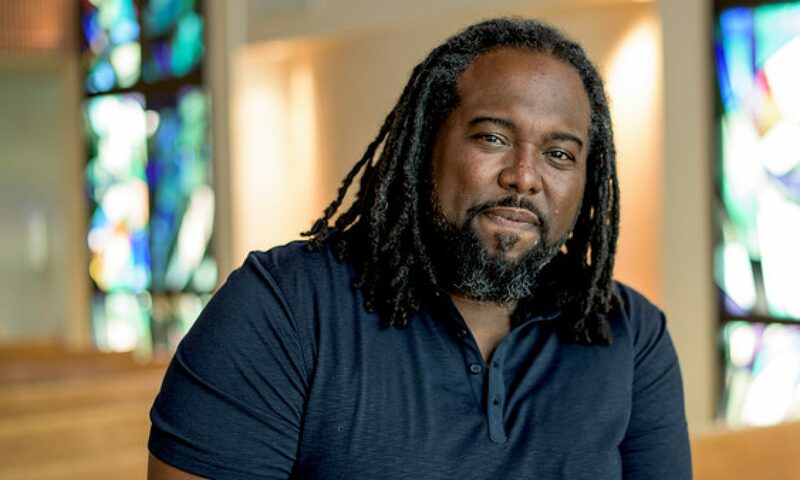 His work has been published and performed around the country including the John F. Kennedy Center in Washington D.C. Eric is a spoken word artist with the 9 Beats Collective, an international group of musicians and thought leaders reimagining the teachings of Jesus for a new generation. Eric’s work attempts to leverage contemplative practice, the arts, and soul care to foster Biblical justice in the world. Wilson’s book, Faith: The First Seven Lessons was released Fall of 2016.